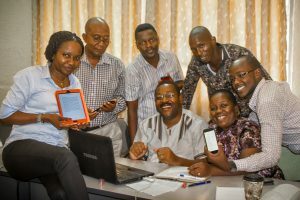 Strengthening the production, sharing and use of research and knowledge for development underlies INASP’s priorities for the next five years, writes Julie Brittain. INASP has just launched a new strategy that will guide our activities until 2020. The strategy se ts out our approaches, values and priorities, with a strong focus on our vision of ‘research and knowledge at the heart of development’. The strategy builds on our strong history and experience of the past 25 years and looks to the challenges of the future, closely aligned with the ambitions of the new Sustainable Development Goals. Is there value in extending our work to a) fragile/post-conflict countries and (the flip-side) b) more middle-income countries like Namibia, Botswana, and Brazil? Should we be more serious about tackling the inequity that women are facing in the higher education and research sector? How would we do this? Just asking the questions and forcing ourselves to have a proper debate across all staff has already transformed the organization and how we perceive where we are best placed to contribute. For the first question, the answer was yes to both, with the caveat that we would prioritize work in countries that are actively seeking support and able to demonstrate commitment and readiness to strengthen the building blocks of a national research system, and that, before embarking on working in fragile and post-conflict states, we need to ‘map’ this readiness. We have also begun supporting female academics in Dodoma University, Tanzania, which ties in with the second of our ‘fuzzy questions’. Over the past two years we have actively sought out women researchers who are part of our AuthorAID network to talk to about their experiences. 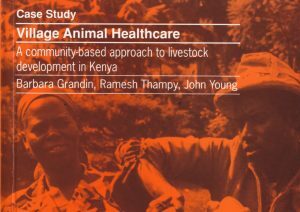 We have heard some fascinating (but also disturbing) stories about the frustrating blockages in their way – such as being unable to present their malarial research projects in male-dominated Maasai community meetings and being prevented from travelling unaccompanied in a boat with fishermen to collect aquaculture research samples along the coast of Tanzania. Female researchers also find it difficult to advance their academic careers due to their additional responsibilities as carers, wives and mothers. 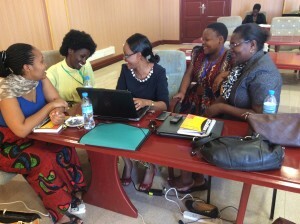 Lively discussions between female academics during the workshop at the University of Dodoma. 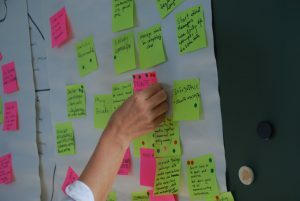 Many of the issues that women researchers face are beyond our capacity to tackle, but we were left with two clear messages which we have now started to develop projects to respond to. The first issue is the desire of young female researchers to find female mentors in their disciplines. The second is a strong interest in tackling bias in their universities by developing gender policies at institutional level. 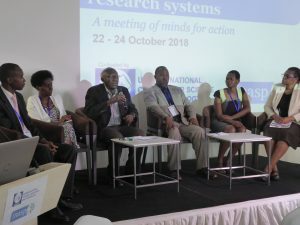 There were also fuzzy questions about working at the national level to support research systems and linking the different actors together (yes to that, but recognizing the need to continue to work at institutional and individual level to make sustained impact), how important is it to make the development link explicit in our work (very). And, in a debate about deepening our work in HE institutes, there was clear recognition of the importance of the ‘critical thinking skills’ of university students in giving them the foundation for engaging with national development issues in their countries. We are actively thinking about how we might be able to contribute to supporting these skills. As well as the internal discussions about the fuzzy questions, we were extremely grateful to 39 key stakeholders from 22 countries who were willing to be interviewed about the future of research and knowledge across the globe, and to give feedback about INASP’s role in this work. The trends in research production are very positive, with more and better-quality research being generated by the global South. Improving economies, greater assertiveness of national institutions and players, and recognition of the importance of the contribution that research can make to national development issues are all contributing to this trend. However, long-standing issues of poor infrastructure, skills, incentives and insufficient funding for local research remain. As well as providing us with enormous insight about their knowledge of key trends, these stakeholders were also very complimentary about INASP’s contribution to the communication and accessibility of research, with particular praise being given to the importance of INASP’s partnership approach, our commitment to local sustainability, and our strong relationships with a wide range of stakeholders. 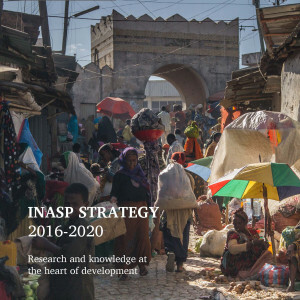 Many of the insights gleaned from the stakeholder survey and from the expertise of our Board are reflected in the new INASP strategy, published in August 2016. 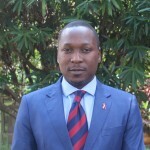 I’d like to thank the Board for ensuring that we kept the new Sustainable Development Goals front and centre in our minds during the writing of the strategy. And for reinforcing the importance of the four key roles for INASP suggested in the stakeholder survey: capacity development, convening, influencing and working in partnership.